An interesting, 70 minute guided historical tour through America’s past. 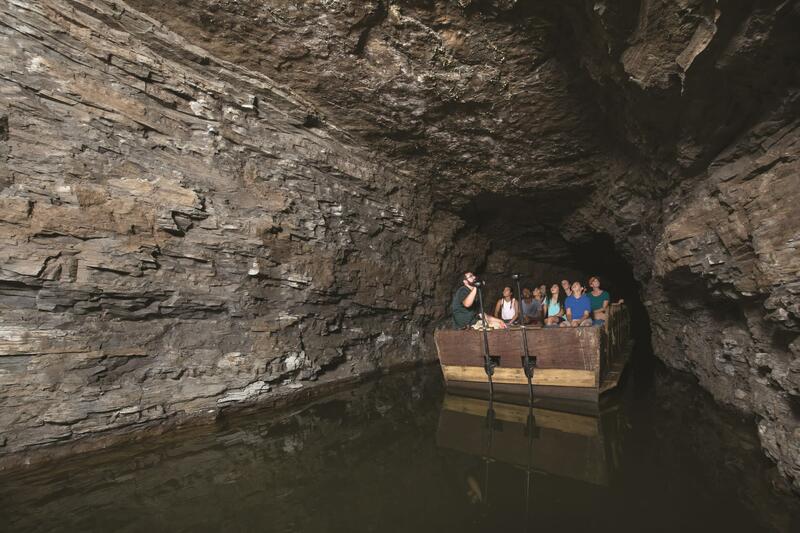 You will explore the historic Erie Canal Locks 67-71 constructed in 1838, view ruins from an early industrial age, and your guide will rock in the mid-1800’s, viewing stalactites, flowstone and other geological formations. You will also see artifacts left behind by the men who build the tunnel in the early days of the Erie Canal. Then you will ride in an underground boat. 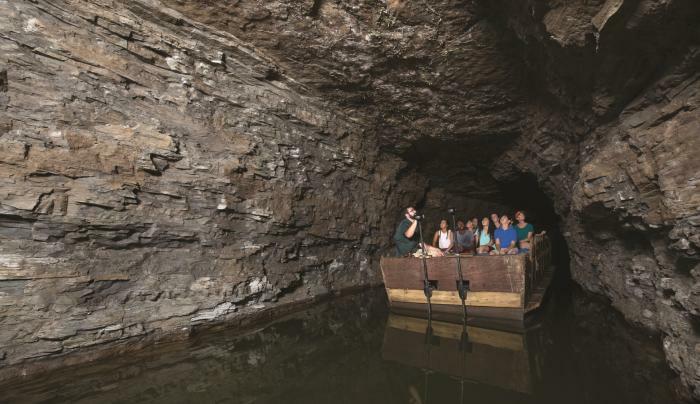 Visitors are awestruck as they take a ride that has been described as both “peaceful and eerie” as the boat glides through lifeless waters, illuminated only by small, sporadically placed electric lights.